SaaS tools can be the key to greater performance across all your business. Cost-effective, and offering improved agility, flexibility and scalability, the cloud is now seen by many businesses as being fundamental to their digital transformation strategies. According to arecent survey carried out by IDG, three quarters of organisations have at least one application, or a portion of their computing infrastructure in the cloud, with a quarter utilising a Software-as-a-Service (SaaS) delivery model. Used by over 150,000 organisations, including 83 percent of the Fortune 500, Salesforce is one of the most popular SaaS applications on the market, and is core to the business operations for many companies. To harness the full potential of their data, however, and thereby maximise their investment in SaaS apps such as Salesforce, organisations require a cloud integration platform that will connect those apps to everything else in their IT infrastructure; their legacy systems, other cloud applications, and even connected IoT devices and data lakes. Integrating access across all these disparate endpoints, while supporting exponentially growing data volumes and ensuring low-latency and high performance across the entire enterprise requires an integration cloud to be unified, low-code, cloud-native, open and distributed. The last of these characteristics is becoming increasingly essential in an era of hybrid IT. By providing an organisation with the flexibility it needs to integrate all of its applications and data, while ensuring security and quality of service, regardless of data volume, or the number and type of endpoints, a distributed integration architecture is ideal for Salesforce customers. It is, in fact, ideal for any company migrating to the cloud as they undergo a digital transformation. The value of an organisation’s investment in Salesforce applications will increase as it harnesses the data across the business, automating the ways in which that data can move into and out of a Salesforce cloud platform. To help realise this value, a true distributed architecture will make it easy for an organisation to bridge across its cloud and legacy systems, and integrate any of its data with Salesforce. 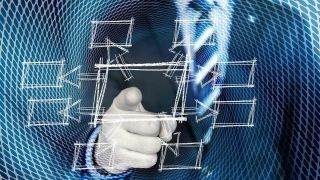 By enabling a company to run its workloads wherever it chooses - whether behind a firewall, in the cloud, or on the edge in the case of IoT applications - a distributed architecture means that new applications and on-premise systems alike will enjoy the advantages offered by an integration cloud, while leaving the business in full control of its data. Companies with strict data security requirements, for example, will be able to easily connect applications in their data centres with next-generation cloud applications like Salesforce without having to compromise on security. Founder Marc Benioff’s vision for Salesforce was of “making software easier to purchase, simpler to use, and more democratic without the complexities of installation, maintenance, and constant upgrades”. Each of these principles is embodied in a single-instance, multi-tenant integration cloud offering, making it ideal for Salesforce integrations. DocuSign, for example, used such a distributed integration cloud to streamline its business processes and increase the speed of data sharing between its key business applications, which included Salesforce Sales Cloud, ERP, finance, HR, and its own proprietary product. The automated, standardised and repeatable processes that this integration created have simplified the user experience, and now support real-time, data-driven decisions across the organisation. As demonstrated by DocuSign’s experience, the deployment of a unified, distributed integration platform enables Salesforce customers to connect everything together, from applications and data, to devices, processes and people, thereby making it easier for organisations to engage across any channel, device or platform. The digital transformation initiatives of businesses with industries such as healthcare and financial services can also benefit from distributed integrations, by automating workflows connected to Salesforce’s innovative cloud platforms. What’s more, joining data from technology segments such as blockchain and the IoT with Einstein and other Salesforce platforms can help to improve operations and deliver greater business intelligence. Three quarters of businesses expect that the majority of their applications will be SaaS by 2020. The integration of these SaaS applications with every other application and relevant database - on-premise, in the cloud, and everywhere in between - is crucial to realising their benefits. Successful integration will unlock data to improve an organisation’s operational efficiencies, automate workflows and drive digital transformation so that it can survive and thrive in this digital era. While there are a number of integration options available, it’s important for organisations to consider the value of a distributed integration cloud in allowing them full control of their integrations while delivering all the benefits of a highly elastic distributed cloud architecture, key to any digital transformation and critical to unlocking the true potential of data.